December is the perfect month to look ahead and try to foresee what will be the major trends in digital customer experience for the next future. As Gartner predicts that customer experience will be the primary basis of competition among brands by 2016, we can trace the seeds of 5 digital marketing trends you should consider in your 2015 content and engagement strategy planning. In our technological ecosystem, big questions on the future always involve digital and mobile. Thanks to the Internet and mobile revolution, today customers can easily access all the information needed to make the best purchase decision. The balance between brands and customers has shifted, and now clients hold the power. The dawn of the Age of the Customer highlights the importance of digital marketing for the success of businesses. If you want to connect with your audience – don’t call it target, or, worse, consumers, anymore – you can’t rely on old tactics. “In many industries, hypercompetition has eroded traditional product and service advantages, making customer experience the new competitive battlefield” Gartner said in a recent report. Based on what we’ve seen in 2014, we can expect in the next future advancements, from new technological assets to the flow of data, from game mechanics to a cloud computing widespread adoption. These are five major trends that will change marketing and give new blood to your digital customer experience. Integrated engagement: the focus is moving towards platforms that ensure higher levels of engagement integrating all the different aspects of the digital strategy. The path starts with a compelling brand storytelling and goes on with social media, inbound marketing, responsive website to target mobile devices, gamification, online communities, advertising. Whatever you do, relevancy is the keyword you have to keep in mind when you put all the pieces together. Innovative content: with traditional media, content was the king. With digital media, content becomes the emperor. This is even more true in a passage of digital transformation, where customers become more demanding and traditional outbound marketing looks outdated. In the next years we will witness a better blending of paid, owned and earned media. Visual stories with a positive tone will reign, because loyalty runs hand-in-hand with emotions. 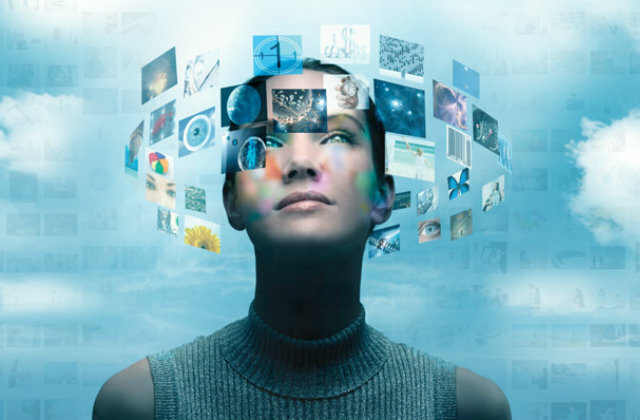 At the same time, companies will get serious about virtual and augmented reality. People-based marketing: creating content alone will not get you anywhere. In the Age of the Customer, marketing is not made for products but for people. Personalization is the code word, and this is even more true if you are a retail, fashion or luxury business. Me-commerce is the extreme refusal of mass standards, and technology can help you continuously connect with customers and foster engagement and loyalty, enhancing game dynamics and location based content (i.e. push notification). Wearables marketing: digital marketing should never talk to all customers as a whole. In markets defined by the mobile mind shift, you can take advantage of new mobile devices to reach your clients with surgical precision. Smartphones, combined with iBeacons and wearable technology – smartwatches and activity trackers – will bolster marketing in real time and context aware communication. Proximity marketing is the word for this personalized and mobile-first action plan. Data-aware strategy: the spread of new devices, the connection between smart objects (the so-called Internet of Things), and the implementation of the cloud on massive scale, will allow companies to collect and analyze huge amounts of data. Therefore you will have to adopt tools like an analytics dashboard to make sense of all the information gathered. Digital strategies won’t work without real time analytics, essential to improve efficiency and tailor-make experiences. The emerging of these technologies is deeply changing the dynamics of markets and the speed needed to remain competitive. Social media, Internet of Things, gamification, analytics are different perspectives of a world that evolves quickly, weaved like a spider web. Put all these pieces properly together and you will create an amazing customer journey across all channels, touchpoints and devices. Delivered business results are the essence of all innovative digital customer experiences. If you want to provide a strategic advantage to your organization download the DCX 7-Steps Checklist crafted by Neosperience, with requirements and insights for a successful digital transformation.